One of the favorite destination of our group during the weekend was Belgium. Liege, Belgium is a convenient place to visit since it’s just a 45-minute travel via train from Maastricht (Netherlands) where we were based. 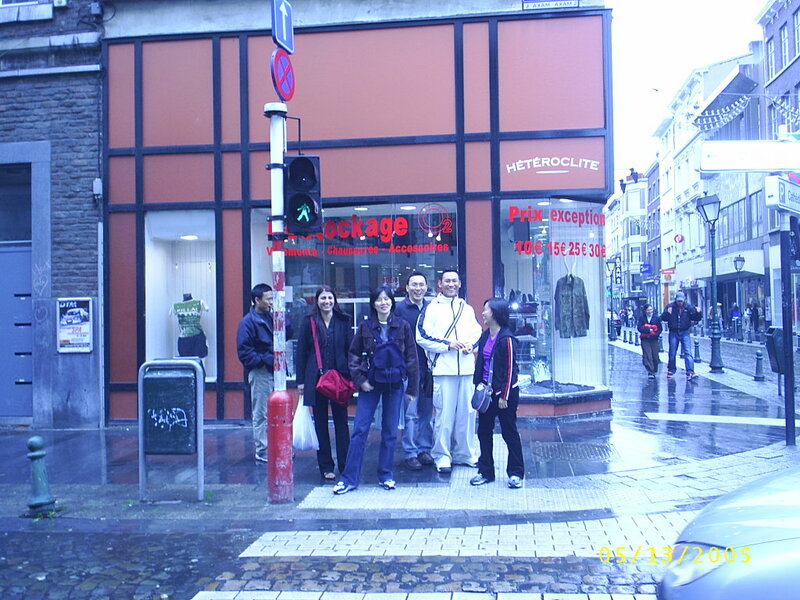 We all have soft spot for Liege because it’s the place where we spent our first weekend in Europe. We like to roam around the place without map, check out shops, and take photos. Whenever we couldn’t find our way, we ask for directions from the youngsters because majority of the old folks only speak French. Our second travel to Belgium was a work visit (a combination of “work” and pleasure). Our lecturer served as our guide and the transportation was provided by Maastricht School of Management. We get to visit a factory, shops and not to forget the red light district. The factory stopover provided a great insight on how the internal procedure work and among other things. Although Belgium shops have somewhat similar structure with Netherlands, they have a greater selection of items being sold.